Business is blooming for flower farmer Sarah Nixon, thanks to her innovative way of acquiring growing plots in downtown Toronto. Nixon uses other people's yards to grown and harvest her flowers. "I wanted to grow flowers on a larger scale, while at the same time living in downtown Toronto," Nixon said. "It's a win win," Nixon said. "They get to have a flower garden without doing any work or investing any money and I get the growing space I need." "Often I'll harvest what's ready to be picked and later that day another flower will be blooming." "There's a lot of demand for the unique types of flowers I grow. People are becoming more aware of supporting local agriculture, not just with food but flowers, as well." And Nixon is, once again, looking for more space. 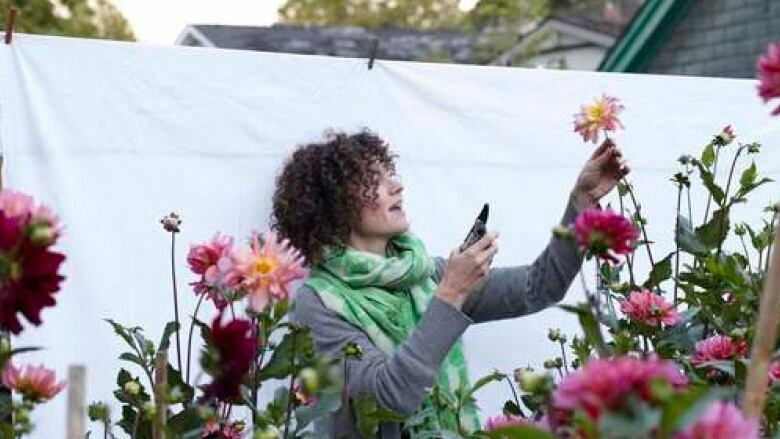 If you have a piece of your yard you'd like converted into one of her flower gardens–and you live in Parkdale, Roncesvalles or South Etobicoke–you can contact Sarah Nixon here.